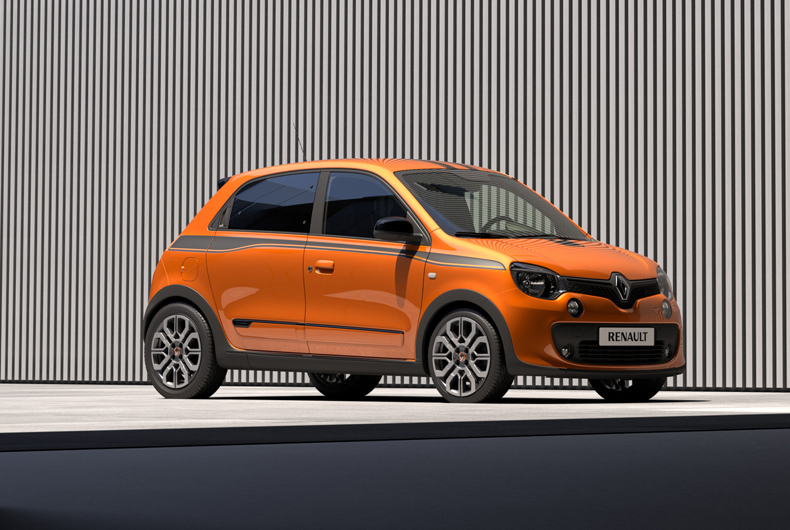 The combination of a 110hp petrol engine, a manual gearbox and rear-wheel drive sees Renault propose an unprecedented package in the small city car class: the TWINGO GT. Its sporty look draws its inspiration from the Twin’Run concept car. The result is sharp handling and responsive steering feedback for precise cornering and outstanding road holding. 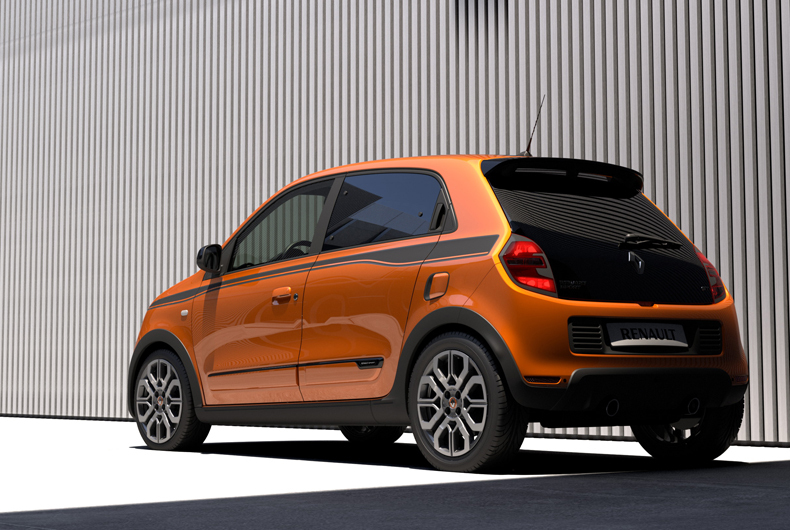 The features combine to provide drivers of the TWINGO GT with affordable pleasure behind the wheel. 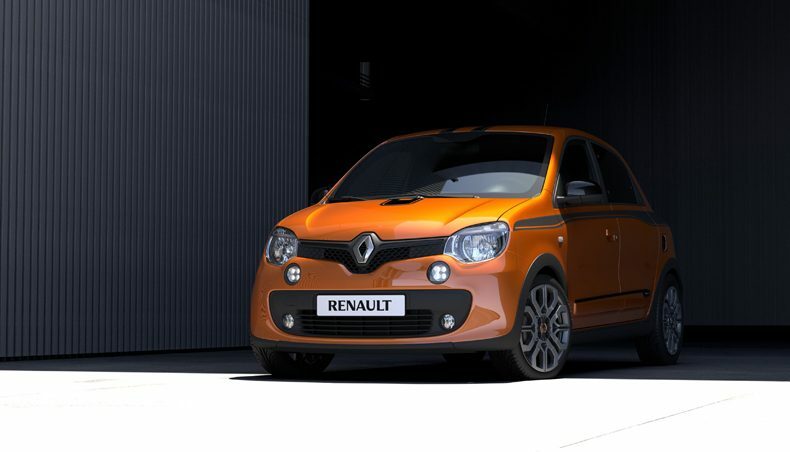 Easily recognisable thanks to its 17-inch wheels, lateral air intakes and twin exhaust tail pipe, the TWINGO GT’s sporty credentials and heritage are visible at first glance. 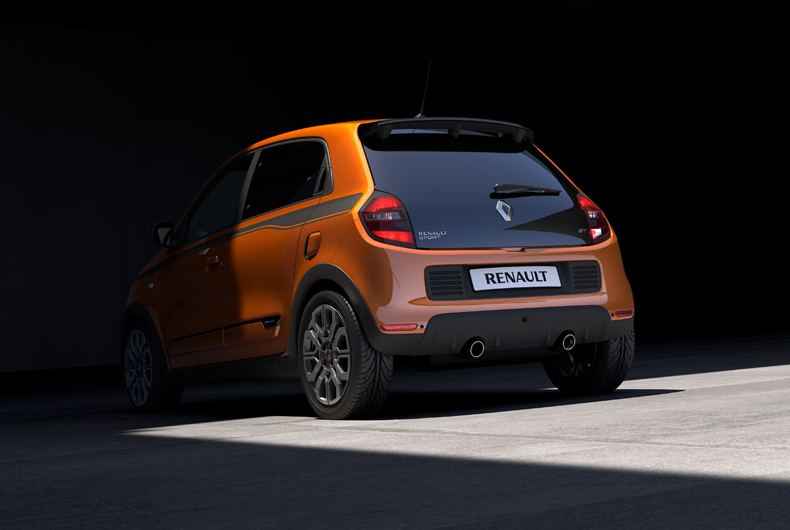 The Twingo III’s lines, which drew their inspiration from the Twin’Run concept car, combine perfectly with the TWINGO GT’s specific wheel design, NACA aircraft-inspired striping which echoes the aerodynamic form of the famous American plane's air. 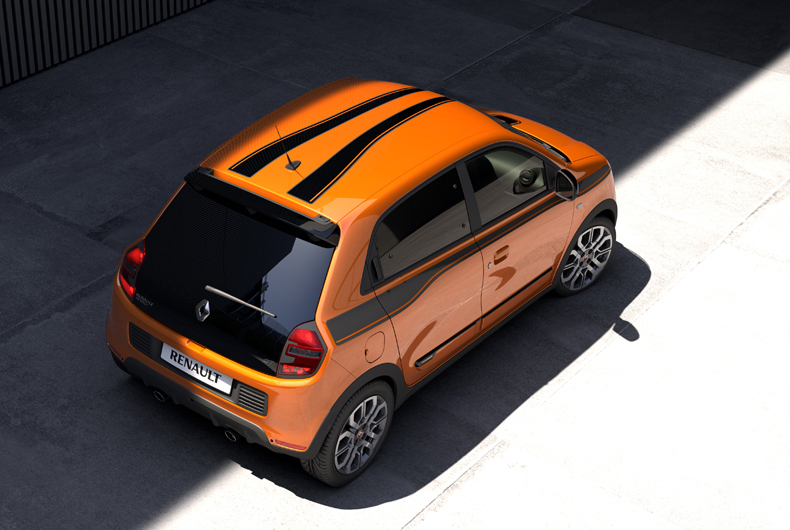 The TWINGO GT comes in a choice of four colours, namely Piment Orange (new), Lunaire Grey, Profond Black and Glacier White, along with orange trim details in the cabin, Renault Sport-badged door sills, aluminium pedal caps and a zamac gear lever knob.